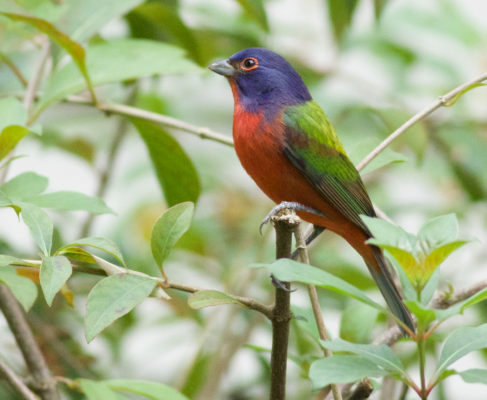 Join Red Hills Birding and discover the upper Texas coast in mid-April, legendary among birders. From the coastal wetlands with their salt-water specialists, to the coastal woodlands full of passerine migrants, fresh-water wetlands with migrant shorebirds, and the piney woods with its unique residents, the bird diversity is higher than just about anywhere else in the US and the trip bird list is constantly growing. We will bird some of Texas’s fabled migrant traps like High Island and Sabine Woods. The Bolivar Flats and Anahuac National Wildlife Refuge will allow us studies of a wide variety of migrant and resident waders, rails, shorebirds, terns, and gulls, along with wetland specialties like Seaside Sparrow. And on a day trip to the piney woods we will search for Red-cockaded Woodpecker, Brown-headed Nuthatch, and Bachman’s Sparrow. We will stay in one hotel for the duration of the trip, before driving to Houston for our departure on the final day. For more information, including registration for the trip, download the complete itinerary here.